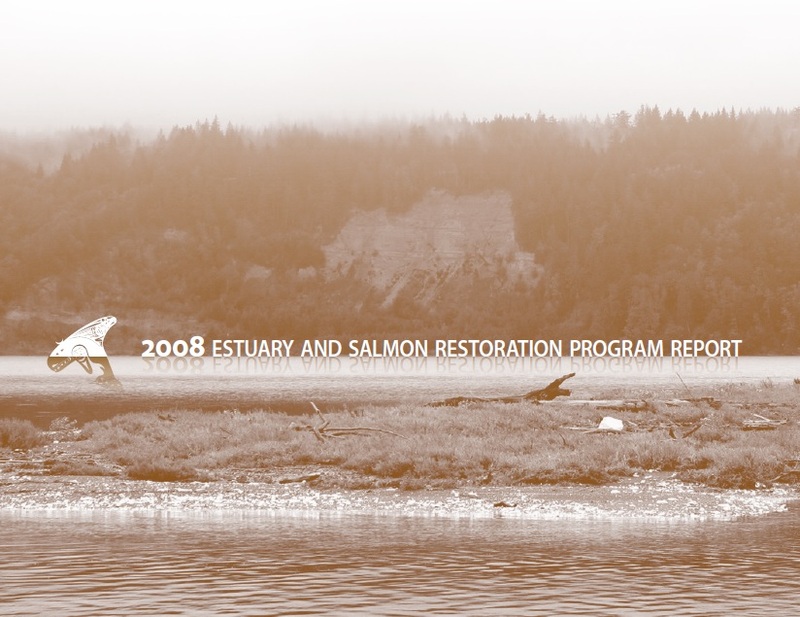 This 2008 report highlights the vision and accomplishments of ESRP in advancing an ecosystem restoration strategy in Puget Sound to restore the ecosystem processes that are essential for a self-sustaining coastal ecosystem. Since 2001 the Puget Sound Nearshore Ecosystem Restoration Project (PSNERP) has been building tools to support Puget Sound recovery. In 2006, the Washington State Legislature gave the Department of Fish and Wildlife (WDFW) a $2.5 million capital appropriation to begin implementation of early actions, creating the Estuary and Salmon Restoration Program (ESRP). A $12 million appropriation followed in the 2007-09 biennium with the development of the Puget Sound Partnership (PSP) and increasing support for Puget Sound recovery. ESRP is a building block of the Puget Sound Action Agenda collaboratively managed by the PSP, WDFW and the Recreation and Conservation Office (RCO). ESRP implements the strategies and guidance of PSNERP. ESRP is a prototype for funding and tracking nearshore ecosystem restoration (see the image below). By applying the emerging strategies of PSNERP we anticipate improving on-the-ground results. Projects are selected through regional competitions using peer review and criteria driven by the best available science. Funds are distributed in increments to maximize the activity generated by public investment, maintain accountability and minimize re-appropriation. Projects are evaluated and contracted as part of an integrated learning strategy to improve future work. ESRP funding compliments salmon recovery while reaching new constituencies and developing new approaches necessary to recover and sustain ecosystem health.